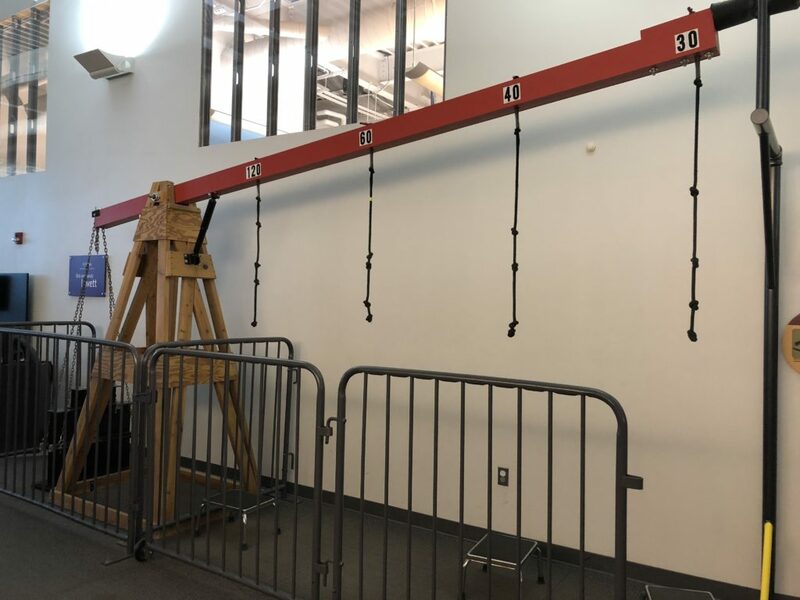 Sponsored post – Discover Lehigh Valley hosted us at the Da Vinci Science Center. All opinions are my own. 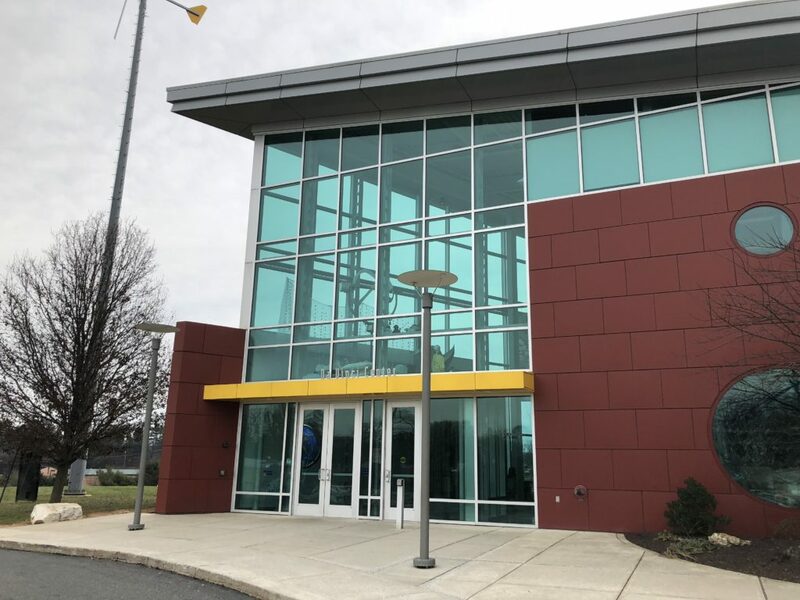 The Da Vinci Science Center is a two-story facility in the Lehigh Valley with permanent and special exhibits for children. The Science Center also has visitor programs, special events, and shows. With plenty of science-related activities, it’s a great place to visit for children of all ages. When arriving, there is ample parking in front of the building. At the front desk, be sure to ask about a show that may be available on the day you are visiting. Tickets for special shows can be an additional cost, but it’s usually a small fee. After choosing a time to view the show, you can then enjoy the Science Center until the show starts. The first room to the right seemed to be very popular with younger children. There’s Big Blue Blocks, which my children can spend an hour playing with these fun, large, foam blocks. Beyond that is a fun exhibit called “Engineers on a Roll”. You can load colorful balls onto conveyor belts, put them into shoots, and watch them pop into the sky. There are buckets available to collect the balls. This exhibit is great for toddlers and preschoolers, as they seemed to play in this area for quite a long time. The long tracks, curves, and dips allow kids to see how physics works while playing. Another popular attraction on the main floor is the dark tunnel. It is open for a half hour of every hour, as it is monitored by a Science Center staff member. Kids crawl through a completely dark maze that is fully enclosed. The point of the maze is to have kids use senses other than their sight to find their way around. 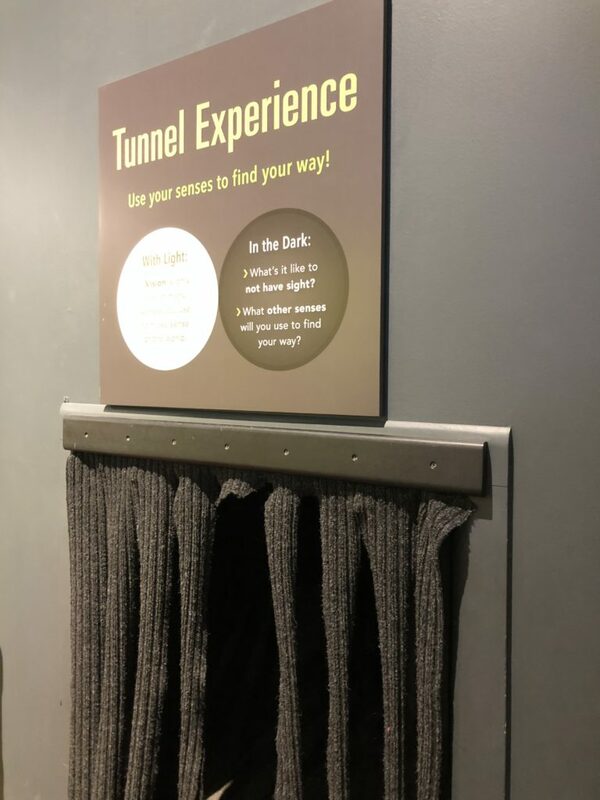 If your child is doesn’t enjoy the dark, they can either take a flashlight that is provided by the Science Center. Another option is to wait for the few minutes when the lights are turned on in the tunnel. The staff member was handing out flashlights and turning on the lights at the kids’ request. The main floor has an ocean simulation tank where you can learn how the energy is waves is turned into electricity. There’s also a water table to demonstrate how to movable parts affect the flow of water. One other main attraction in this section of the Science Center is the Energy Zone. Here, kids can move their bodies to create energy to produce light. 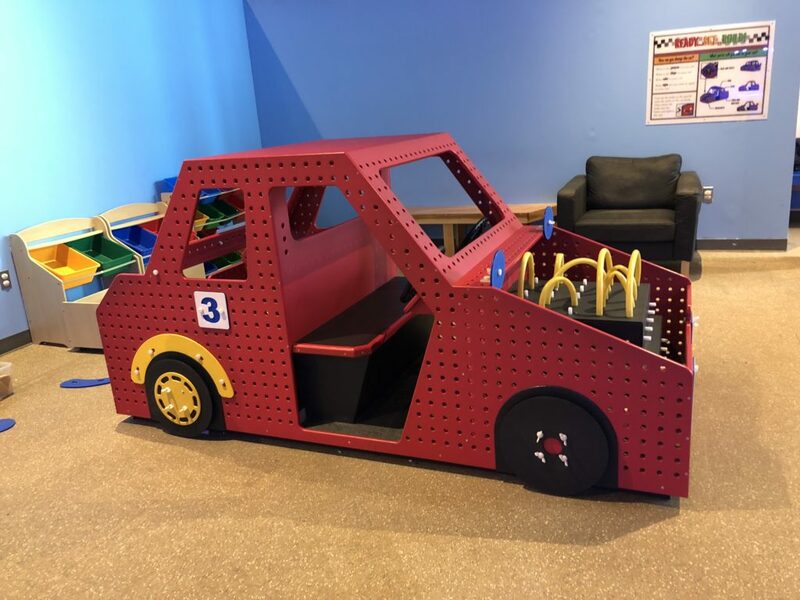 Finally, for the smaller children, there’s a car repair area with lots of movable parts. The main lobby includes vending machines with snacks and drinks. The Science Center also open to bringing your own food. They supply plenty of tables and chairs to take a break for a snack or a whole meal. The top floor is where the educational labs are housed. Each lab had a different project to tackle. A staff member is stationed in each lab to help with instructions and materials. On the day we visited, we made a small Star Wars light saber. In another lab we made a dinosaur puppet. There are plenty of materials in each lab. Kids can follow the instructions or make an creation of their own. Many other popular attractions were housed on the top floor. This includes the Newton sliding chairs which demonstrate Newton’s Second Law of Motion in a fun way. In another room on the top floor, there’s a weather station exhibit where kids can learn to be on camera with a green screen. There’s also a tornado simulation which was fun for my seven year old to experience. Before visiting, be sure to check the Da Vinci Science Center’s website for to see if there are any special shows. If you’d like to see a show, decide on an arrival time that will work with the showtimes for the day. Vending machine snacks and drinks are available, but food and drink is allowed to be brought into the Science Center. Plan ahead so you don’t need to leave when hunger strikes! If you’re traveling to the Lehigh Valley to visit the Science Center, pair it with another fun destination like Lehigh Valley Zoo!